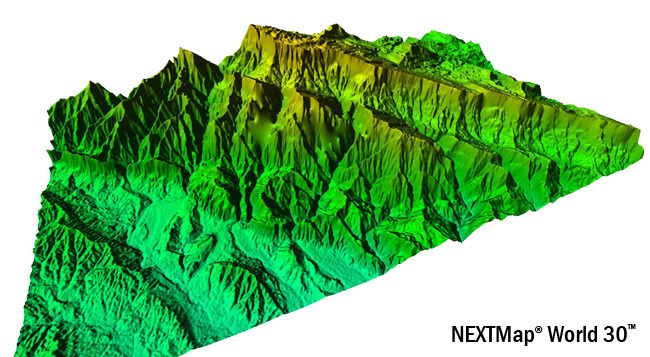 The elevation model, NEXTMap World 30, offers versatile implementation possibilities with 100% coverage of the Earth at a resolution of 30 meters and seamless data without blend. See the accuracy for yourself! Grab the sliding bar and move left or right to view the World 30 difference. 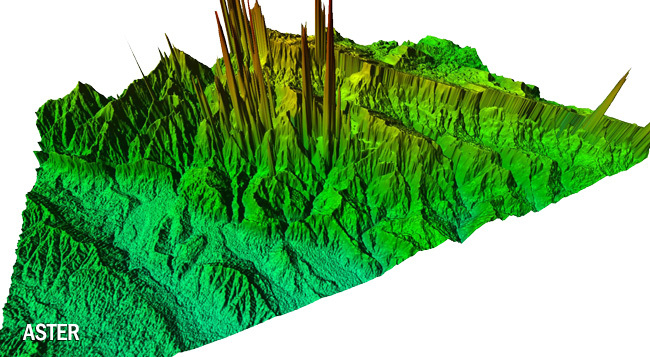 ASTER digital elevation model compared to the NEXTMap World 30 (right).